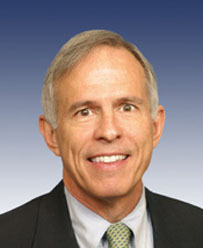 Attorney elected to thirteen terms in US Congress beginning in 1985, succeeding Al Gore. Centrist "Blue Dog" Democrat; generally anti-abortion rights, anti-gay rights, pro-gun rights, pro-net neutrality. Co-authored the 1993 Family Medical Leave Act, which provides unpaid leave for up to 12 work weeks to employees who need to care for their family. Supported 1990 Americans with Disabilities Act, 1991 Gulf War resolution, 1993 North American Free Trade Agreement (NAFTA), 1997 Kyoto Protocol to address climate change, 2001 USA PATRIOT Act, 2002 Iraq War resolution, 2004 restriction to bankruptcy rules, 2006 Secure Fence Act, 2008 Wall Street bailout, 2009 economic stimulus, 2010 health care reform; opposed 1998-99 Clinton impeachment, 2005 Central American Free Trade Agreement (CAFTA). Not a candidate for re-election in 2010, and succeeded in Congress by Diane Black.